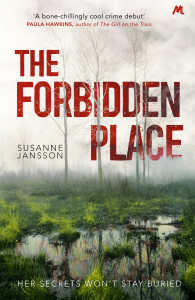 A book, television show, or movie set somewhere in Scandinavia leads the reader or viewer to expect dark, foreboding landscapes and ominous, threatening events. 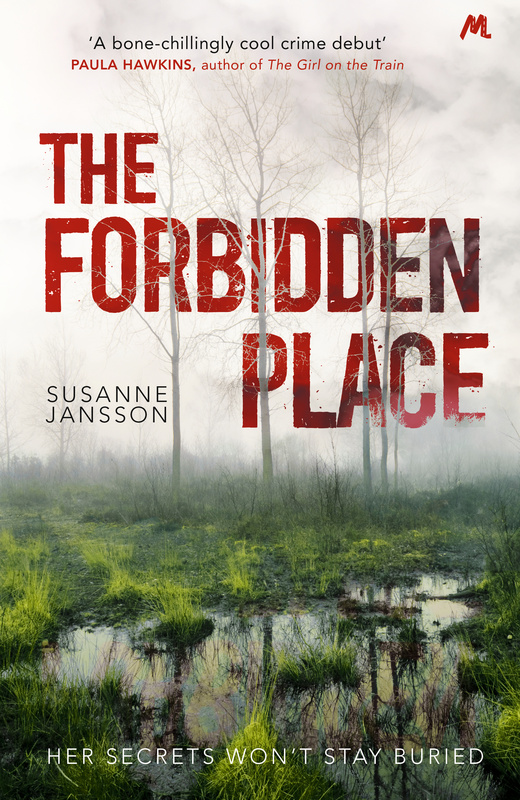 Susanne Jansson’s sparkling debut novel The Forbidden Place fulfills these expectations in a myriad of absorbing ways. She avoids the trite and reveals a world that bridges the gap between ancient days and modern times, between the supernatural and reality. The dark, misty peat bogs and wetlands of Northern Sweden often conceal sites where ancient people came to worship their gods and bury their dead. Such desolate places engender strange tales that may involve human sacrifice. When biologist Nathalie Ström comes to study the marshes in research for her Ph.D., she meets an art student, Johannes, who is soon discovered on the marsh unconscious and nearly dead, his pocket containing a small bag of gold coins. Maya, a photographer who works part time with the police, happens upon another body bearing gold coins. There seems to be a pattern. We gradually learn that something once happened in the bog. Small details deepen the sense of disquiet which overtake the novel’s primary characters. Will we find a murder mystery with real killers, or will we descend into the supernatural? All the while, the reader is grounded amidst very real information about the physiology of a bog and its effect on a body, especially its preservative characteristics. Her nearby cottage sat in “A homey sort of desolation in a muted palette….” Here, as Nathalie pursues her research having learned of bodies in the bog, “she would eventually arrive at the place where everything began and ended.” In a nod to Edgar Allan Poe, she felt a knocking in her body; this, and other clues, suggest she has a backstory tied to this desolate area. Jansson recalls a Stephen King-like menace as she suggests that Nathalie’s past is a very real presence coming to find her. Jansson has previously written for crime magazines. A photographer and freelance journalist, her writing skills are on full display here. If, as conventional wisdom informs us, one should write what one knows, she has hit the mark. Her writing is concise, her plot realistic and captivating. One hopes for more from this extraordinary writer.